The Laurels Service Station is one of the longest established independently owned Shell Garages in the country, celebrating over 50 years with the Shell Brand. In previous years the site has been awarded a Top Performing Dealer Award, and the Horncastle based family owned business has done it again this year, bringing home another award. 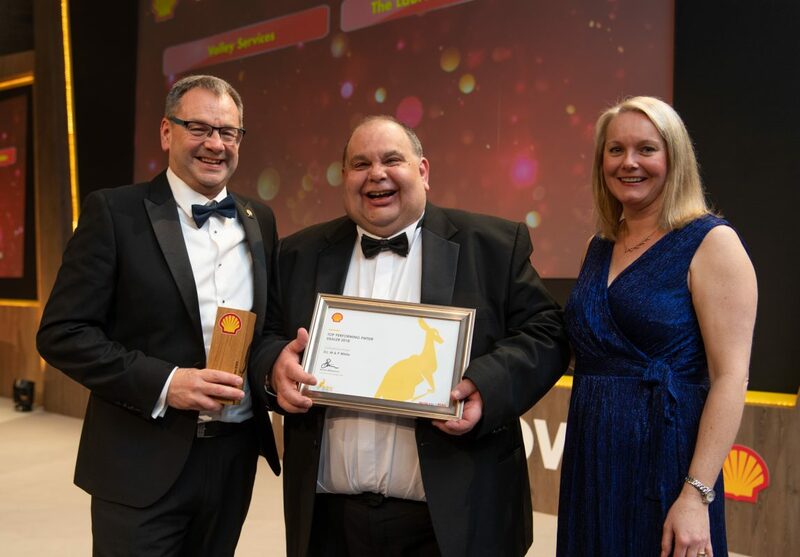 The award ceremony was held at the Shell annual conference at the prestigious Celtic Manor in Newport, Wales. The Laurels are proud to have been invited to the Shell world conference which this year will be held in Sydney, Australia in June. Celebrating its success with other top performing Shell garages and customer service champions from 70 countries, all around the world. Whilst in Wales, Shell retailers were informed of exciting changes in the near future, and of the new range of delicious Jamie Oliver sandwiches and salads (available now at Shell forecourts). Retailers were also treated to a Gala dinner event with the hilarious, after dinner speaker Eddie “The Eagle” Edwards. Pictured (Left) Andrew Braxton, Shell UK Dealer Manager, (Centre) Guy White, Laurels Service Station, (Right) Bernie Williamson, Shell General Manager UK. For further information on Jamie Oliver, Deli by Shell follow the link. The Service Station has a very busy workshop with the latest diagnostics equipment, offering service repairs MOT and air conditioning service. The Site also offers Car & Van Hire. Along with a Shell branded forecourt, Spar Convenience Store offering Costa Coffee, Free to use ATM, Hermes parcel drop off and many other facilities.